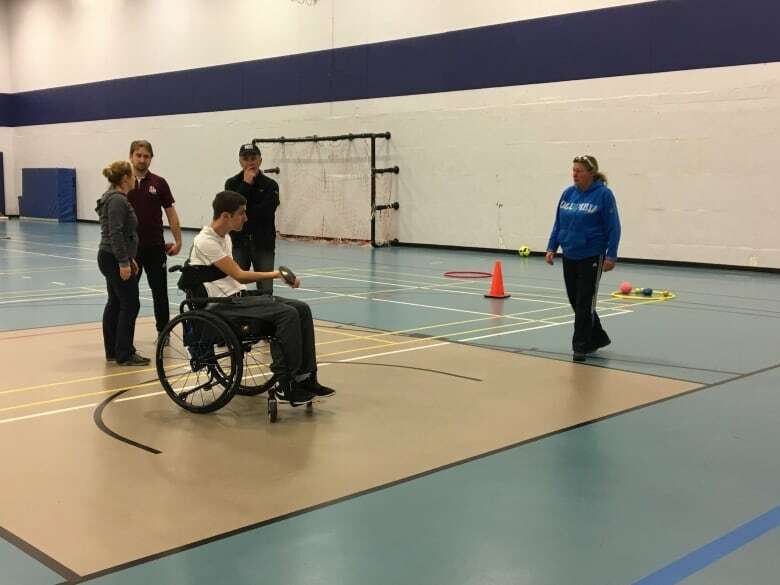 Six athletes got a taste for para-athletics Sunday morning at the UNB Saint John gymnasium after taking part in a clinic put on to increase access to the sports. Max Arsenault races around a Saint John gymnasium, appearing to be a natural at track and field. Less than a year ago he suffered a neck injury while snowboarding and it left him paralyzed from the chest down. Arsenault has rebounded, playing rugby and basketball twice a week. 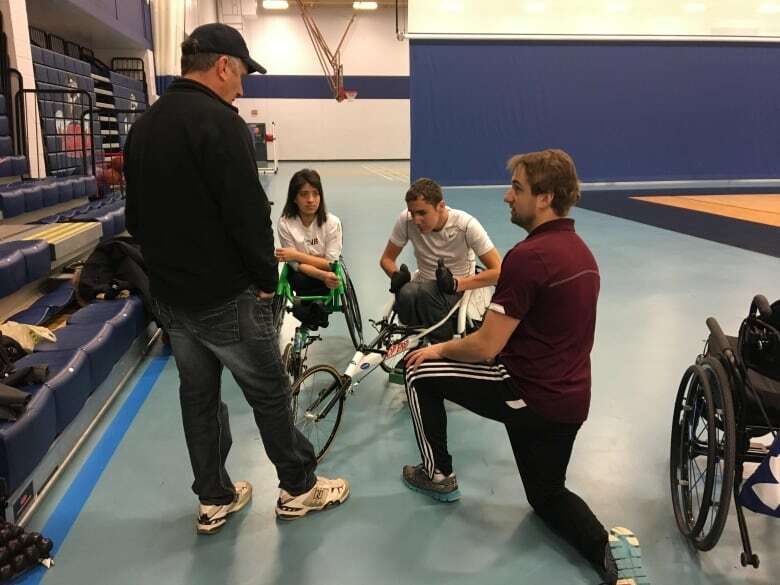 Sunday he was one of six athletes who got a taste of para-athletics at a clinic put on to introduce people to the sports. The event's goal was to help increase the number of people taking part in para-athletics, which coaches say is one of the most inclusive sports. Track and field events may be the next sport Arsenault adds to his growing repertoire. "Before my accident I was exactly the same way, I was in any sport that I could be in," said Arsenault. "And there's no reason for that not to be the same now." After getting strapped into a racing wheelchair Sunday, Arsenault took a few practice pumps at the wheel. He leaned forward and propelled himself as coach offered encouragement close behind. But he admitted zipping along in a position that felt unnatural compared to his wheelchair wasn't easy. "I had no idea what to expect but I'm definitely looking forward to trying it out more times," he said. Arsenault's interest in staying involved with the sport is what Athletics New Brunswick wants to see. 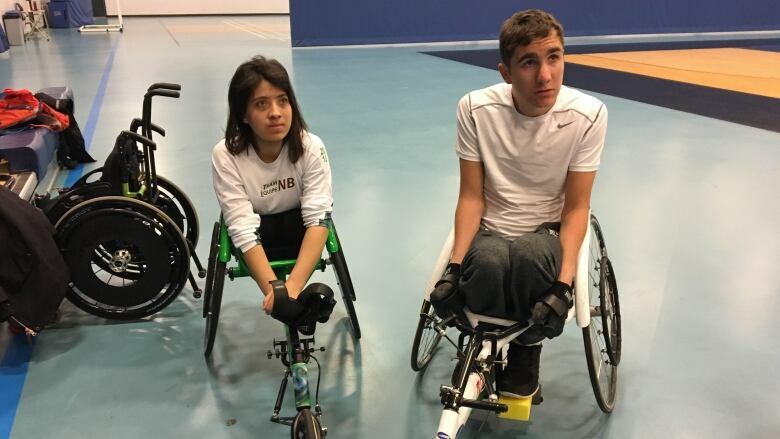 The organization's executive director, Gabriel LeBlanc, said it wants to show how adaptable the sports are to disabled athletes. "Our goal is to give that little taste .. and they fall in love with the sport and then the sky's the limit," LeBlanc. One of the keys to the program's success, said LeBlanc, is the number of coaches from local clubs who are involved. Without them it wouldn't be possible to keeping the sport accessible for everyone, he said. Saint John Track Club coach Jason Reindl said recruiting para-athletes isn't a simple task in the province. Without the population to draw on like Toronto or Vancouver, he said there are limited participants. "But they're out there" he said. "And we want them to know especially that we have opportunity for them." That includes everyone, young, old, and of varying disabilities, said Reindl. He said it is incredibly important to make it "known that our door is always open to accommodate." "It starts with a conversation," he said. Getting para-athletes involved in the sport is much easier than it once was, according to Veronic Coombes. Now eight years into wheelchair racing, Coombes said when she started it took much more effort. "You really had to work hard to be able to get into the racing," she said. Now Coombes said there are fewer barriers to both training facilities and equipment. She often has to correct people who think they can't get into sports because they're in a wheelchair, something she had to discover on her own. "I'm like 'just because you're in a wheelchair doesn't mean you can't do sports," she said. Across the gymnasium from Coombes, Arsenault tossed discus plates across the room. After adjusting his straps in his wheelchair, he immediately began throwing further. His father, Wayne, watched as the discs flew by. "It's wonderful to watch him," said the elder Arsenault. "This means everything — getting active again after an injury of this nature." Wayne Arsenault said his son's movement after his injury isn't just good for his health, but for his mental state too. "To fast-forward today and see the things that he's able to do, that's really amazing, to watch that progression in his ability." At the end of the session, Max Arsenault said he wants to try the sport again as soon as he can.